Now, more than ever it’s time to start planning your 2019 Walt Disney World Resort vacation, because there will be more to see, do, taste and experience here next year than ever before! Whatever your passion for Disney, there’s a big dose of pixie dust waiting for you at all four parks. Love Mickey and Minnie Mouse? Want to get wild with “The Lion King”? Feel like playing with your Pixar pals? Or maybe live music is your thing? All this and more will be waiting for you next year. Here’s a glance at 19 new and limited-time experiences to look forward to in 2019 at Walt Disney World Resort! 1. In honor of the true originals, Mickey and Minnie Mouse, Mickey & Minnie’s Surprise Celebration will bring new music, dancing and all sorts of other fun to Magic Kingdom Park. 2. For starters, the new “Move It! Shake It! MousekeDance It! Street Party” at Magic Kingdom Park will invite you to dance with Mickey, Minnie and their pals in front of Cinderella Castle. Shake it along with live singers belting out new arrangements of classic “Mickey Mouse Club” songs. 3. The Dapper Dans and other entertainers on Main Street, U.S.A. at Magic Kingdom Park will sing songs in honor of Mickey and Minnie. 4. Look for special Mickey- and Minnie-themed merchandise and food at Magic Kingdom Park to make this party complete. 5. And this is a Surprise Celebration, after all, so you can expect more Limited-Time Magic entertainment and other experiences to pop up periodically around Magic Kingdom Park. 6. 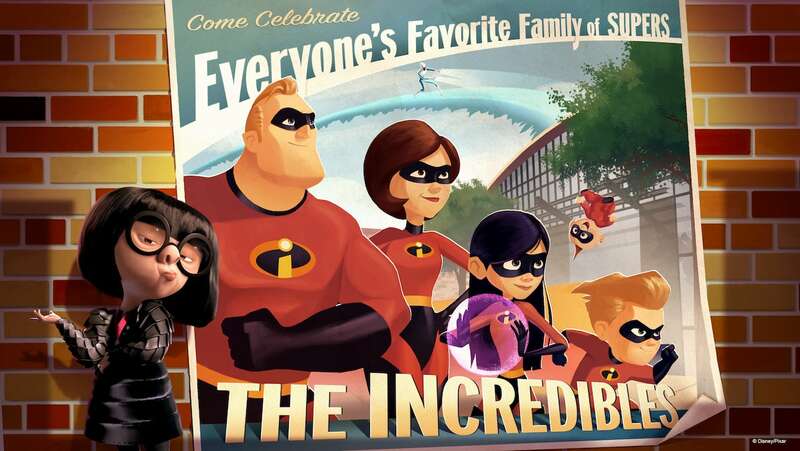 The Incredibles are coming to Disney’s Hollywood Studios, as Pixar Place will transform into a Municiberg city block. 7. At the end of the block, a party will be held in honor of Mr. Incredible, Mrs. Incredible and Frozone to celebrate their Super deeds. 8. Meet the one and only Edna Mode – the greatest super suit designer! She will set up a special location on Pixar Place showcasing some of her best creations (no capes!). 9. Also on Pixar Place, look for clues to the whereabouts of the youngest Incredible, the mischievous and multi-powered Jack-Jack. 10. Elsewhere at Disney’s Hollywood Studios, a door to the monster world will open inside Walt Disney Presents, where you’ll have a chance to meet Mike and Sulley from Pixar’s Monsters, Inc.
11. 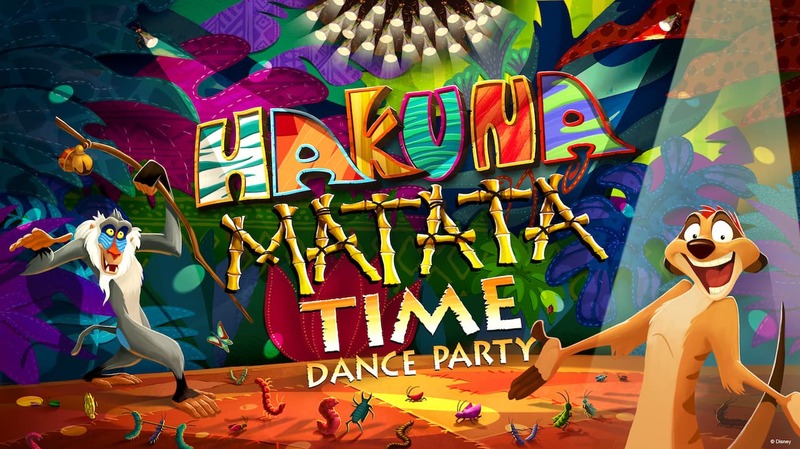 Celebrate the 25th anniversary of Walt Disney Pictures’ “The Lion King” at Disney’s Animal Kingdom along with Timon and Rafiki in the “Hakuna Matata Time Dance Party” on Discovery Island. Let your inner animal roam free on the dance floor in this raucous party! 12. 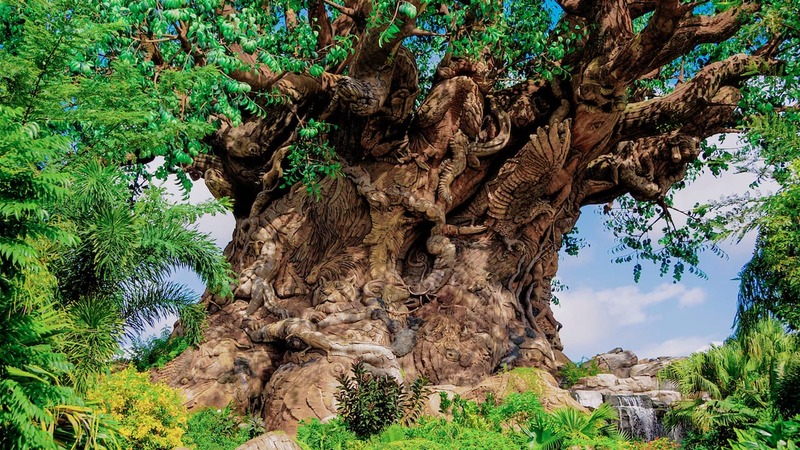 Also at Disney’s Animal Kingdom, have fun posing in front of special three-dimensional photo opportunities re-creating scenes from the animated classic. 13. The Epcot International Festival of the Arts is back! This year’s special event takes place Jan. 18 – Feb.25, allowing you to indulge in world-class culinary, visual and performing arts. 14. The Disney on Broadway Concert Series is expanding to seven days a week during the Festival of the Arts, so you’ll have even more opportunities to experience some Disney musical magic live on stage. 15. Welcome spring’s arrival with the Epcot International Flower & Garden Festival, returning March 6 – June 3 with its wide selection of delectable bites at outdoor kitchens and dozens of Disney-themed topiaries blooming around the park. 16. Even better, this year’s Garden Rocks Concert Series expands, as well, to seven days a week during the Flower & Garden Festival, which means a total of 270 concerts over the course of the 90-day event. 17. Ka-Chow! Lightning McQueen’s Racing Academy rolls into Disney’s Hollywood Studios in spring 2019. In this new show experience, you’ll come face to face with Lightning and learn from his years of experience on the track. 18. Outside the Racing Academy, you’ll get to meet Lightning McQueen’s speedy pal, Cruz Ramirez. 19. If you haven’t visited Walt Disney World Resort recently, then there’s even more for you to explore and experience. Become an honorary toy at Toy Story Land in Disney’s Hollywood Studios, travel to the bioluminescent planet of Pandora – The World of Avatar at Disney’s Animal Kingdom or wish a fond farewell to “IllumiNations: Reflections of Earth” – the nighttime spectacular at Epcot – before its conclusion scheduled for the second half of 2019. Whew…that’s a lot! Now, more than ever you’ll want to be here for it all. Don’t wait to book your vacation – visit DisneyWorld.com to get started! @Eileen. Download the My Disney Experience app. Click on the map at the top and you will see a drop down menu in the middle that starts with wait times. Click on ‘Entertainment” and it will give you the times of the parades and other entertainment such as the Dapper Dans. Also make sure you click on “Show List” in the upper right hand corner so you can view a list rather than markings on the map. You can hide the list and use the map to guide you where you need to be. This app is a must for planning. It even has a button where you can add these events to your plans and create an itenerary which is important with little ones. 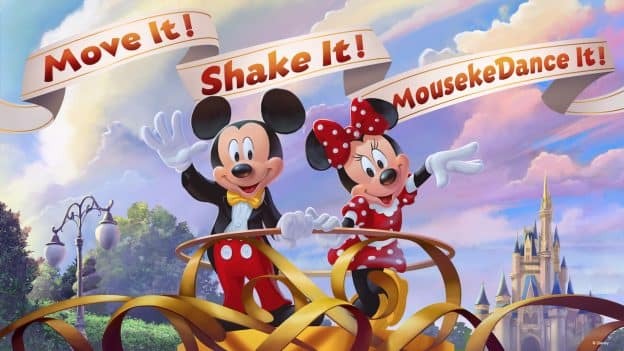 Unfortunately the Move it Shake it parade doesn’t start until January 18th, so the times probably won’t be posted until the 18th. My Disney experience can also be accessed via the web. Do you have information on the times of these events: Move It, Shake It…what time does that take place on the weekend of 1/18/,1/19? Or the Dapper Dans, or The Incredibles at Hollywood Studios? It might make it easier to schedule meals knowing what times…the little ones won’t want to miss it! What would be a great big ‘Disney’ fan (such as myself) without an ultimate, daily routine of listening to ‘DParkRadio’ from the perfectly private comfort of my own home here in Maryland, successfully imagining all of these incredible, special activities all suddenly and instantaneously coming to life? With ‘Walt Disney World’ directly, conveniently acting more as a nearby, family friendly, festive vacation destination, there is a lot more, plentiful, frequent opportunity for experiencing adventuruous fun, excitement and thrill, especially well existent within and around the ‘Magic Kingdom,’ Cinderella’s Castle and Epcot, of course, serving as no exception! Unfortunately, having never once ever received the unique chance to attend, I wish that I could somehow always sneak in sweet treats effortlessly matching with the office decor, also, often dependent upon the particular, specific holiday. Welcome to the blog Mr. Jeremy! I would love to meet Huey, Dewey and Louie as apart of the “limited-time magic.” They have their new show on Disney channel, and we’ve already met Scrooge and Launchpad. We can’t wait for more details on all these new experiences. Our trip in April can’t get here fast enough!